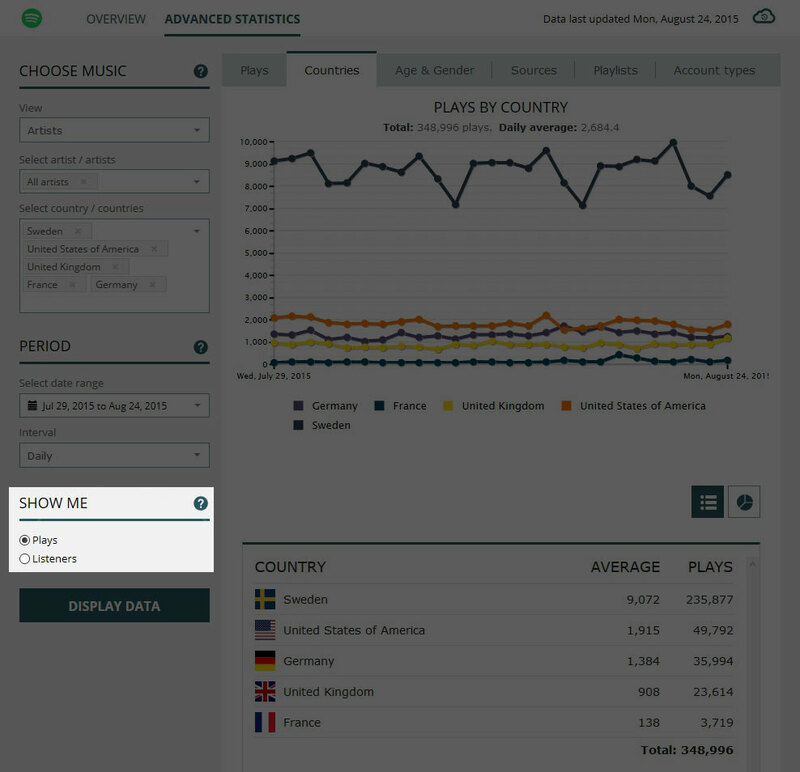 In the Spotify Trends tool you are able to choose to show plays or listeners. But what does this actually mean and what kind of insights can you get? Plays - This is the number of times your music was played. If a song has 100 plays, this means it was played 100 times. Listeners - The number of people who listened to your music. If your track has 100 listeners then it means 100 people listened to it in a specific period. The plays in this period could be many more - indicating that some listeners played your music more than once. Plays are great - they generate royalties for you. Listeners though indicate how many people are listening with your music - it tells you our audience. If your listeners staying around the same but your plays are increaing it means its the same bunch of peeps are streaming your music more and more. On the flipside, if your plays staying the same but your listeners are increasing indicates that more people are listening to your music but playing it less. The best thing to see is a steady increase in plays and listeners. This means your audience is increasing and the number of plays they are making is increase - all in all, this will means more plays (and royalties) for you.